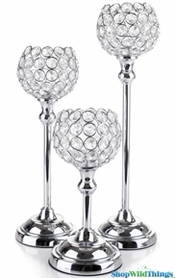 Mercury Glass Candle Holders are so awesome and they easily boost table and centerpiece Decor to another level so we're very excited to add this chic Mercury Glass Set "Kylie" Silver that has a ritzy lattice pattern! 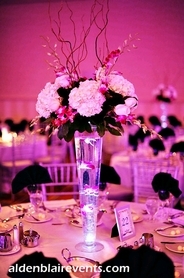 It just looks so sophisticated and elegant! 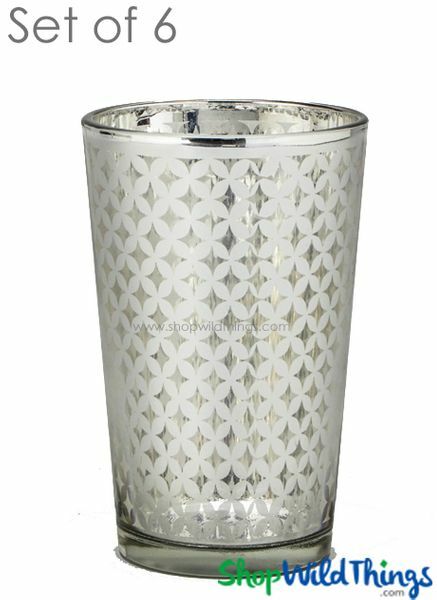 Mercury glass has a silver layer between double walled glass so the pattern on the inside of the cups is silver as well as the outside lattice pattern. The shiny, metallic look is ideal for decorating celebrations, weddings, anniversaries and special events or for everyday use! 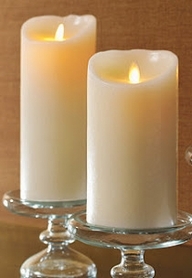 You will get a set of 6 candle holders and each is 4 1/4" tall by 2 1/2" wide and the inside bottom measures 1 1/4" in diameter so an LED tea light or small flameless LED votive candle fits perfectly. The lattice pattern resembles diamond shapes - a classy and timeless design that fits into any theme or Decor.